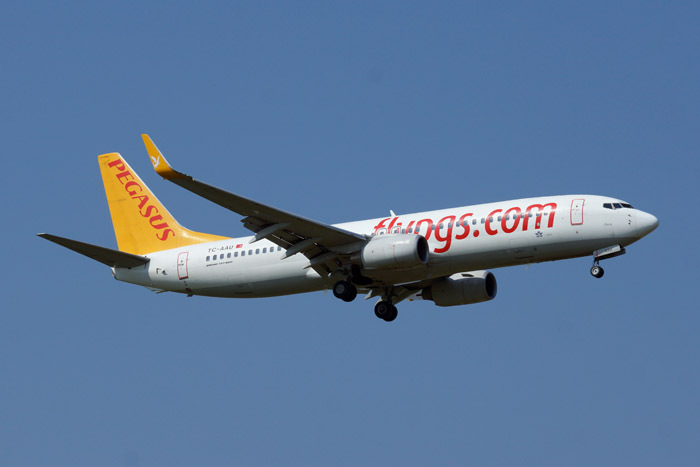 Pegasus Airlines (Turkey) continues its rapid growth with the addition of Lyon, Nice and Milan-Malpensa to its network. Announcing the launch of three new routes at the end of March 2015, Pegasus now serves 30 destinations within Turkey and 59 beyond Turkey; a total of 89 destinations in 36 countries. Having launched its inaugural flights to Paris, St Etienne and Marseilles five years ago, Pegasus now serves five destinations in France with the addition of Lyon and Nice as of March 2015. Flights to Lyon from Istanbul’s Sabiha Gokcen will depart at 10:30, returning from Lyon at 13:50 on Wednesdays, Fridays and Sundays, while flights to Nice from Istanbul’s Sabiha Gokcen will depart at 09:35, returning from Nice at 12:50 on Mondays, Tuesdays, Fridays, Saturdays and Sundays. With the launch of the Milan-Malpensa route Pegasus now serves four destinations in Italy, following Rome, Bologna and Milan-Bergamo. Flights to Milan-Malpensa from Istanbul’s Sabiha Gokcen will depart at 15:25 on Mondays, Thursdays, Fridays and Sundays, returning from Milan-Malpensa at 18:30 on the same days of the week.